A wedding videographer with a reputation for being unique is hard to find. Most couples will end up with a film that is the same as most others but this is not the case with Silver Tie Films. The owner and director, Gusttavo Matteucci, has developed a story-telling format that reflects the style the company values. With numerous awards from the best wedding magazines and top wedding sites, every couple can have the peace of mind that they are in capable hands. This guarantees that even the smallest detail won’t be missed. Instead of creating straightforward and dull videos that do not show how important the day was, Axiom Videography insists on each film they produce being special. 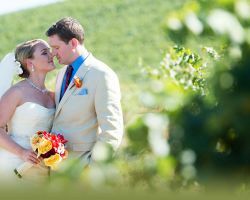 They never have less than two cameras and always have the latest technology to bring out every detail of your wedding. Their list of packages gives a huge number of options and all contain impeccable filming and careful editing. All of this attention to detail has culminated in every film being beautiful and personalized to each individual couple. Enabling a couple to remember their special day is what Rain Studios is all about. They know that wedding days slip by and become a blur in all of the excitement. The best way to remember, relive the day and strengthen your love is to watch all of those unnoticed or forgotten moments. They do not just present packages for you to choose from, they want to get to know each couple so they can adjust their services to fit them perfectly. Many videographers forget the main focus of the day isn’t their work but the couple. One Day Pictures has the motto: ‘it’s all about your story’ and they really mean it. 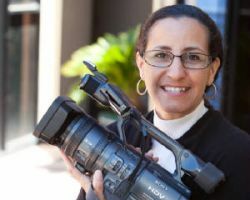 Carmen, the founder of One Day, stands out amongst the wedding videographers of San Francisco, CA as a filmmaker who has worked on several projects and put the same level of enthusiastic work into each one. This dedication is reflected in the quality of the films that she and her team produce. With a truly contemporary take on videography, Spencer Sarson Visuals has developed a style that makes everything artistic. He believes that it isn’t the individual shots which are important but about the feel of the entire piece. Following the belief that videography is an art of observation he makes sure that every little detail of your wedding is captured and celebrated. Educated in California and now living in San Francisco he has found a passion in documenting the love story of every couple that comes to him. The owner of AVR Films, David Ethridge, has an individual and refreshing approach to videography. He starts with something that would move him and that he can be passionate about. 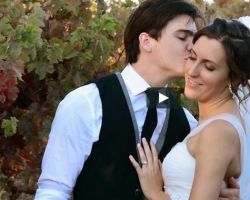 As one of the most respected experts amongst San Francisco wedding videographers, he has set a high standard and couples are always satisfied with the outcome. His team experiment with styles to create dramatic differences between each film so no two are alike. 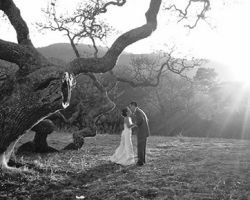 Their use of black and white footage blended with dramatic lighting and 8mm film blend modern and vintage styles seamlessly. Taking part in the happiest day of a couple’s life is a true honor and one that the team of Kindle Wood Films does not take lightly. They have the latest equipment, High Definition DSLR cameras and cutting-edge audio to make sure each film is absolutely perfect. The reviews of their work reflect this and so do their many awards. If this doesn’t convince you then their affordable prices, flexibility and impeccable customer service will have you booking them as soon as possible. The team members of Michael John Video Productions are more than simple wedding videographers; they are true artists in their field. With decades of experience they are able to reflect a weddings elegance and style in one of their famous cinema styled movies. To ensure complete flexibility they provide couples with the option to choose between a listed package or select from their comprehensive á la carte menu of extras. Some of these include: same day edit, live webcasting and big screen picture shows at the reception. 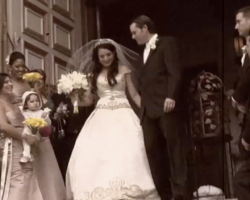 With competitive rates and a long list of flattering testimonials, Above and Beyond Productions does truly go above and beyond the duty of the average wedding videographer. As a smaller collective team of filmmakers they are able to provide a personal service as well as being experts in their field. These professionals see themselves as storytellers so they will accurately reflect all of the emotion and excitement of your wedding day. They will do so whilst blending into the background so not to interfere with the proceedings of the day.